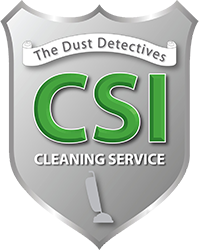 At CSI Cleaning, we pride ourselves on being able to provide the very best cleaning services to both residential and commercial spaces in the greater Vineland area. Since it’s inception, our cleaning business has strived to offer affordable cleaning services by reliable and trustworthy experts, and that’s precisely what we have done. Check out our service area, as well as the services we offer below! CSI Cleaning is your premier Softwash provider for the Vineland area. It is very important to keep your home’s exterior clean. When you hire someone to complete the job, it is important that it is going to last. Our Soft Washing system makes sure that no water, mildew, mold or dirt is just being pushed under the siding. There’s no damage to your home and our advanced pressure-less washing system is effective and thorough which saves you a lot of money in the long run.